Wow! It took me so long to finally update my blog! My apologies. Partly because I just lost the stamina and also just been really occupied with life…but glad I finally got the impetus to motivate me to get back into the kitchen and it’s my co-worker at my job that finally got me excited to cook again. My new friend loves Asian dessert and she’s particularly enthralled by this one she ate awhile ago, but couldn’t recall the name. After much descriptions and hypothesis, I realized she’s talking about mocha, aka lo mai chi. This dessert is an acquired taste, just because it’s gooey, sticky, and not as decadent as the flavour you get from a luscious chocolate cake or a fancy crème brulee. No, mochi is homey, almost cuddly, and basically a hand held treat. I made two versions – a plain with peanut, sugar, and coconut filling and another with the mochi mixed with mashed sweet yam for an earthy tone. 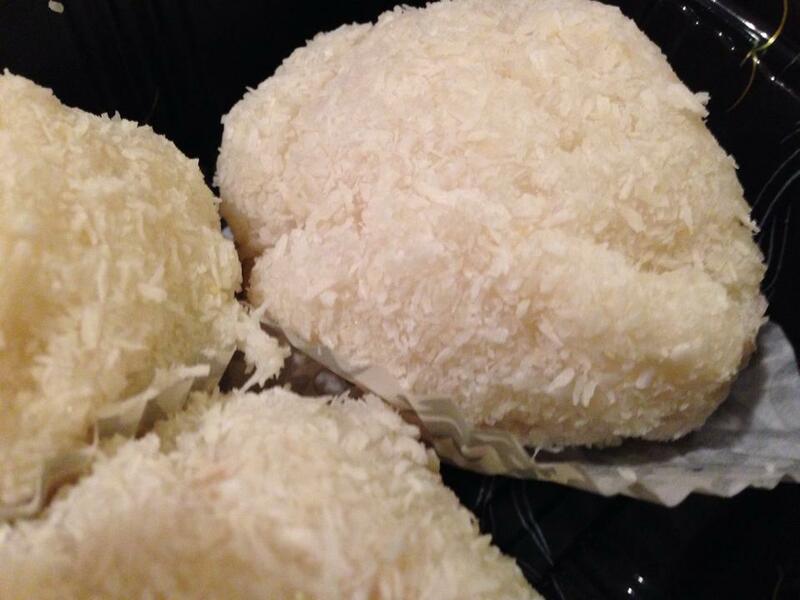 Mochi is usually served room temperature, perhaps for gifting and just travel so well afar! So if you love to play with Play-Doh, making mochi is the perfect excuse to play with your food with your hands. Mix flour and water until well combined. Pour into a greased steaming tray and steam with medium heat for 15-20 minutes until cooked. Cool down till room temperature. Take a spoonful of the cooled dough and flattened with a dent. Place a teaspoon worth of peanut filling in the center and then wrap around and make into a round ball. 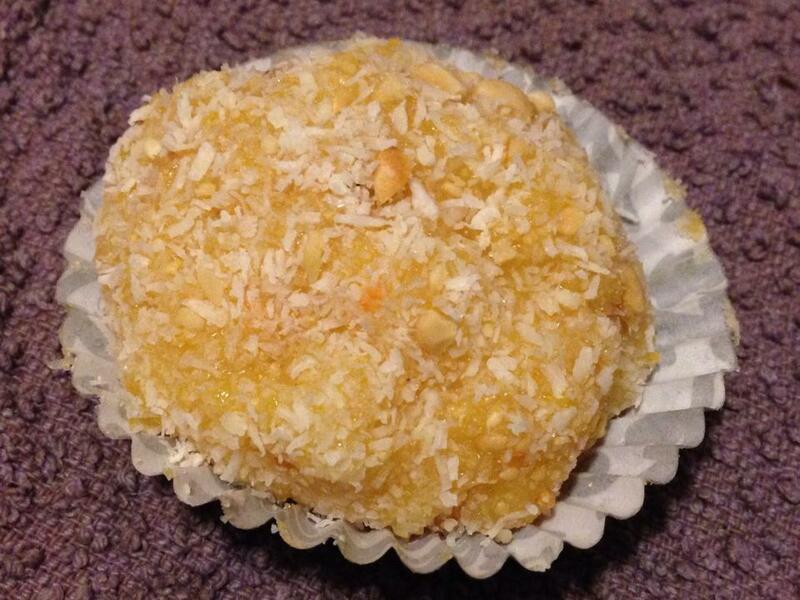 Roll the balls into a plate of sweetened shredded coconut. Enjoy!